Conversations between Morsi and terrorist leader revealed. (Morning Star News) – As former Egyptian President Mohamed Morsi’s trials continue, it’s enlightening to consider what is likely to be one of the centerpieces: longstanding accusations that Morsi and his Muslim Brotherhood party worked with foreign terrorist organizations, including Al Qaeda, against the national security of Egypt. 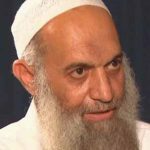 Concerning some of the more severe allegations, one of Egypt’s most widely distributed and read newspapers, Al Watan, recently published what it said were recorded conversations between Morsi and Muhammad Zawahiri, Al Qaeda leader Ayman Zawahiri’s brother. In what follows, I relay, summarize, and translate some of the more significant portions of the Watan reports (verbatim statements are in quotation marks). In between, I comment on various anecdotes and events – many of which were first broken on my website – that now, in light of these phone conversations, make perfect sense and independently help confirm the authenticity of the recordings. The presidential palace continued to communicate regularly with Muhammad Zawahiri, and sources confirm that he was the link between the Egyptian presidency and his brother, Ayman Zawahiri, the Egyptian-born leader of Al Qaeda. The next recording between Morsi and Zawahiri lasted for two minutes and 56 seconds and took place one month after Morsi became president. Morsi informed Zawahiri that the Muslim Brotherhood supports the mujahidin (jihadis) and that the mujahidin should support the Brotherhood in order for them both, and the Islamist agenda, to prevail in Egypt. This assertion comports extremely well with his brother Ayman Zawahiri’s views. A former Muslim Brotherhood member himself, some 30 years ago, the Al Qaeda leader wrote Al Hissad Al Murr (“The Bitter Harvest”), a scathing book condemning the Brotherhood for “taking advantage of the Muslim youths’ fervor by … steer[ing] their onetime passionate, Islamic zeal for jihad to conferences and elections.” An entire section dedicated to showing that Islamic Sharia cannot coexist with democracy even appears in Ayman Zawahiri’s book (see “Sharia and Democracy,” The Al Qaeda Reader, pgs. 116-136). The call ended in agreement that Al Qaeda would support the Brotherhood, including its international branches, under the understanding that Morsi would soon implement full Sharia in Egypt. After this, Muhammad Zawahiri and Khairat al-Shater, the number-two man of the Muslim Brotherhood organization, reportedly met regularly. It is interesting to note here that, prior to these revelations, U.S. ambassador Anne Patterson was seen visiting with Khairat al-Shater – even though he held no position in the Morsi government –and after the ousting and imprisonment of Morsi and leading Brotherhood members, Sens. John McCain and Lindsay Graham made it a point to visit the civilian Shater in his prison cell and urged the Egyptian government to release him. The next call, recorded roughly six weeks after this last one, again revolved around the theme of solidifying common cooperation between the Egyptian presidency and the Muslim Brotherhood on the one hand, and Al Qaeda and its jihadi offshoots on the other, specifically in the context of creating jihadi cells inside Egypt devoted to protecting the increasingly unpopular Brotherhood-dominated government. As I reported back in December 2012, Egyptian media were saying that foreign jihadi fighters were appearing in large numbers – one said 3,000 fighters – especially in Sinai. And, since the overthrow of the Brotherhood and the military crackdown on its supporters, many of those detained have been exposed speaking non-Egyptian dialects of Arabic. During this same call, Zawahiri was also critical of the Morsi government for still not applying Islamic Sharia throughout Egypt, which, as mentioned, was one of the prerequisites for Al Qaeda support. In fact, as I reported back in August 2012, many imprisoned terrorists, including from Egypt’s notorious Islamic Jihad organization – which was once led by Ayman Zawahiri – were released under Morsi. During this same call, and in the context of pardons, Morsi said he would do his best to facilitate the return of Muhammad’s infamous brother and Al Qaeda leader, Ayman Zawahiri, back to Egypt – “with his head held high,” in accordance with Islamist wishes – as well as urge the U.S. to release the “Blind Sheikh” and terrorist mastermind, Omar Abdul Rahman. The gist of the next two calls between Morsi and Muhammad Zawahiri was that, so long as the former is president, he would see to it that all released jihadis and Al Qaeda operatives are allowed to move freely throughout Egypt and the Sinai, and that the presidential palace would remain in constant contact with Zawahiri, to make sure everything is moving to the satisfaction of both parties. Zawahiri further requested that Morsi allow them to develop training camps in Sinai in order to support the Brotherhood through trained militants. Along with saying that the Brotherhood intended to form a “revolutionary guard” to protect him against any coup, Morsi added that, in return for Al Qaeda’s and its affiliates’ support, not only would he allow them to have such training camps, but he would facilitate their development in Sinai and give them four facilities to use along the Egyptian-Libyan border. More evidence – including some that implicates the U.S. administration – has mounted since then. That Morsi did indeed as he promised, facilitating the establishment of four jihadi training camps. Morsi was then Chief in Command of Egypt’s Armed Forces, and through his power of authority, stopped the military from launching operations, including any in the by-now Al Qaeda-overrun Sinai. That, after Morsi returned to Egypt from his trip to Pakistan, he issued another list containing the names of 20 more convicted terrorists considered dangerous to the national security of Egypt, giving them all presidential pardons – despite the fact that national security and intelligence strongly recommended that they not be released on grounds of the threat they posed. That the Muslim Brotherhood’s international wing, including through the agency of Khairat al-Shater, had provided $50 million to Al Qaeda in part to support the Muslim Brotherhood in Egypt. In fact, there was a period of time when the secular media in Egypt – which was constantly exposing Brotherhood machinations – were under severe attack by the Brotherhood and Islamists of all stripes (comedian Bassem Youssef was the tip of the iceberg). In one instance, which I noted back in August 2012, six major media stations were attacked by Brotherhood supporters, their employees severely beat. The last call recorded between Mohamed Morsi and Muhammad Zawahiri took place on the dawn of June 30, 2013 (the date of the June 30 Revolution that ousted Morsi and the Brotherhood). Morsi made the call to Zawahiri in the presence of Asad al-Sheikha, Deputy Chief of Presidential Staff, Refa’ al-Tahtawy, Chief of Presidential Staff, and his personal security. Zawahiri reportedly responded by saying, “We will fight the military and the police, and we will set the Sinai aflame. True enough, as I reported on July 4, quoting from an Arabic report: “Al Qaeda, under the leadership of Muhammad Zawahiri, is currently planning reprisal operations by which to attack the army and the Morsi-opposition all around the Republic [of Egypt].” The report added that, right before the deposing of Morsi, Zawahiri had been arrested and was being interrogated – only to be ordered released by yet another presidential order, and that he had since fled to the Sinai. As Morsi’s trial continues, it’s only a matter of time before the truth of these allegations – and their implications for the U.S. – is known. But one thing is certain: most of them comport incredibly well with incidents and events that took place under Morsi’s government. Raymond Ibrahim is a Shillman Fellow at the David Horowitz Freedom Center, a 2013 Media Fellow at the Hoover Institution, and an Associate Fellow at the Middle East Forum. This article first appeared on CBN News and is reprinted from raymondibrahim.com, Feb. 4, 2014.